So, we really need some Christmas joy up in here right now. We got back from our Thanksgiving hell on Sunday around 6 and we promptly put up our Christmas tree. The kids were wound up from spending seven hours in the car. And us grown ups were exhausted from worrying and still being uncertain about what exactly will happen next with my mother. But Christmas is coming and we figured we could use a little joy. And we always put the tree up the weekend after Thanksgiving. We have a ton of traditions around this time of year, I do love traditions. Just because we call them traditions doesn't mean they are quaint and cutesy....it just means we do them every year and they mean something to us. The quaint, cutesy family goes to a farm on a night when snowflakes are gently falling, they may sing a carol or two while they go pick the perfect Christmas tree to cut down. We don't do that. We march down a flight of stairs to our musty basement and get the box that holds our tree. Then, we start building our beloved oh Christmas tree. It was a bit fast and furious, but fun. My husband Tim and I were so tired that we didn't worry too much about if all the fake branches were spread out enough to make it look real. Who are we fooling anyway? We didn't care where the kids put the ornaments, but we never really do. We usually get a kick out of their clusters of ornaments right at their individual eye level. We quickly told stories about various ornaments, but not as in depth as other years. We took a few pictures, but not as many as other years. Some things with our decorating were a little off. Tim didn't know anything was wrong with this wreath when he put it up, upside down. But we kept the tradition alive and it does make us feel some much needed Christmas joy up in here. 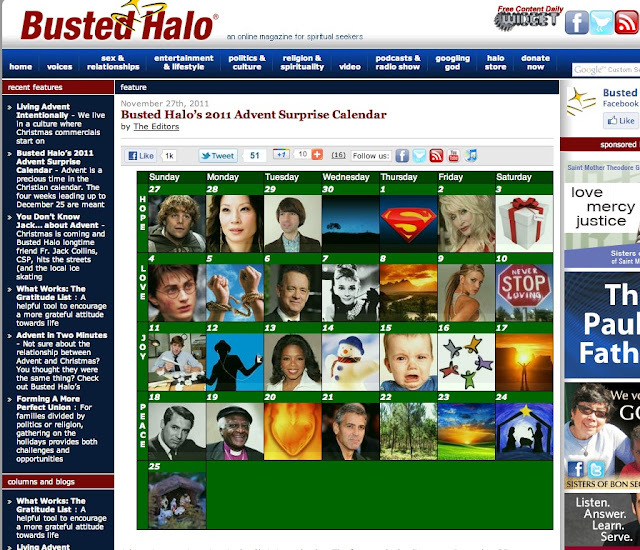 Check out this online Advent Calendar for grown ups that is fab! I love it. It incorporates pop culture with celebrity quotes and movie/tv clips.